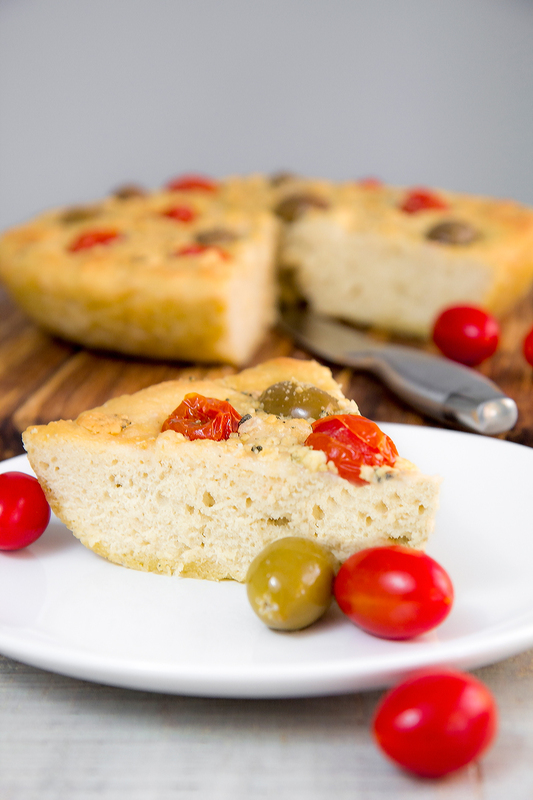 FOCACCIA BREAD LOCATELLI: quick and easy Italian flatbread! A Focaccia bread thick and fluffy ready in less than two hours? It is possible, and it is soo tasty! Focaccia Locatelli is a no-knead recipe, very soft Italian flatbread, and super easy to make. The classic version does not provide for any toppings, but I strongly suggest you garnish your focaccia with your favorite ingredients. Here I choose stuffed green olives, cherry tomatoes, and gorgonzola crumbles, but the only limit is your fantasy! 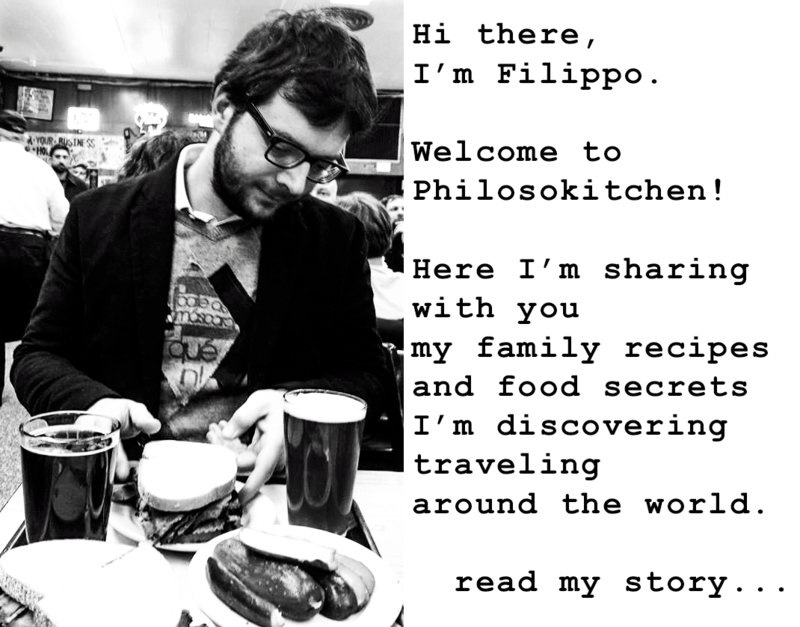 The Italian cuisine is famous thanks to several cooks whose name has been lost over the centuries; the author of the recipe of Luciana octopus stew (in Italian: “polpo alla Luciana”) is one of them. For the uninitiated, I must clarify one thing: the author of this recipe is not named Luciana! Who invented this tasty recipe is unknown, but the place where it was created is well-known. The Luciana octopus is so named because of the ancient fishing district of Santa Lucia, in Naples. On the sea in front of Santa Lucia the octopuses were caught dipping terracotta amphorae into the water, among the rocks overnight, then were simmered with tomatoes and Gaeta olives in a crock pot covered and wrapped in a wet cloth. 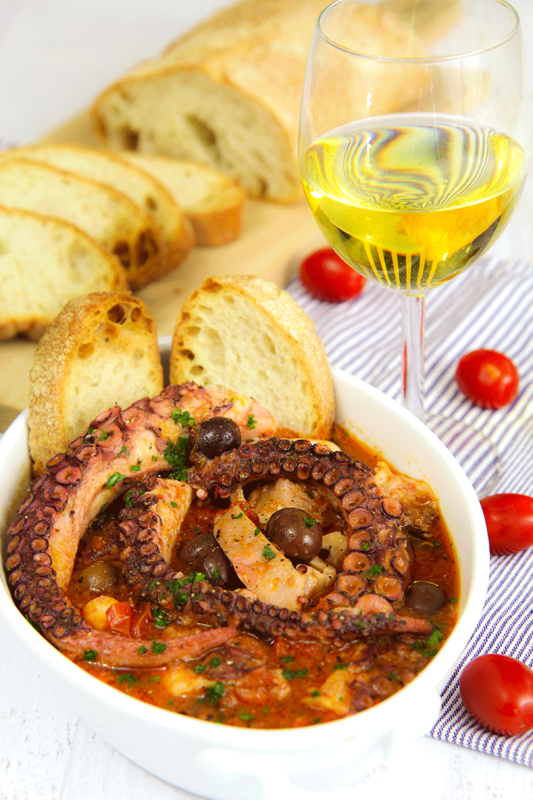 The Luciana octopus is served with croutons but, to make a complete Italian meal, is common season spaghetti with the sauce of the octopus as first course and serve the octopus as second course. Roasted cherry tomatoes in olive oil are both excellent for pasta, risotto, salads, and also to eat during an aperitif, with olives, cured meats, and cheese. They can be flavored with many herbs and scents: here, I have prepared some with fresh oregano and some others with garlic, capers, and parsley. 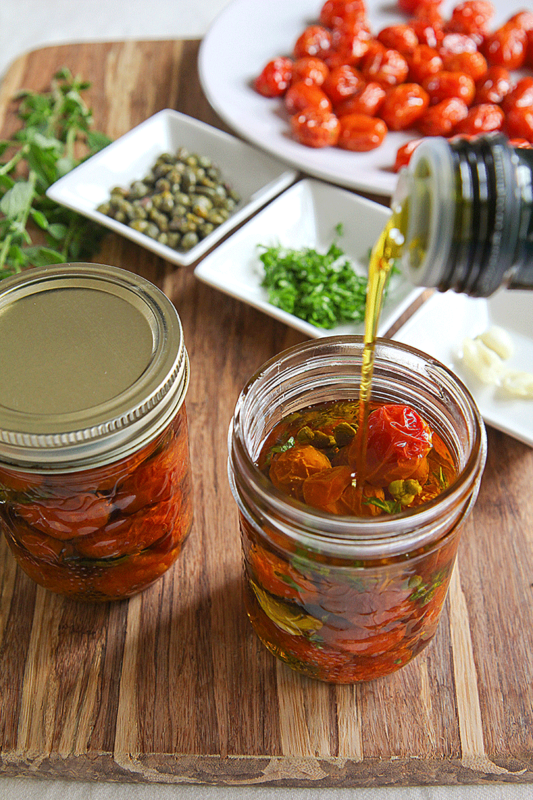 Try to make them; the taste of these roasted tomatoes after a few weeks stored in the dark is so yummy!